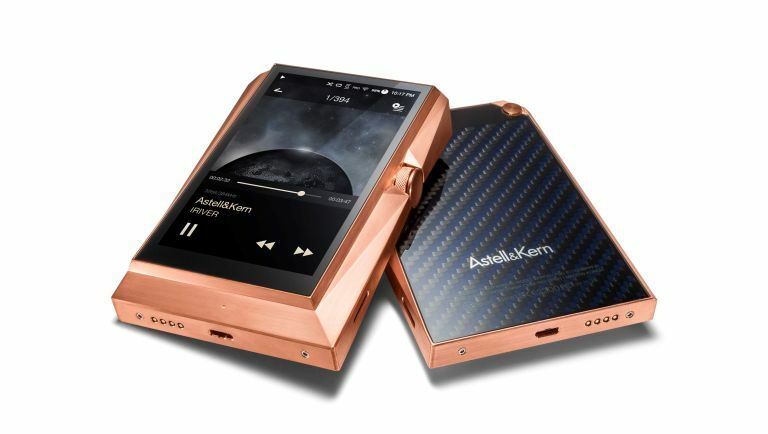 Astell&Kern has launched a new Copper version of its brand leading AK380 audio player, and this one isn't just a device powerful enough to play high quality masters from your studio - it's actually made out of a solid block of copper. That choice of base material doesn't just make the Copper a chunky addition to your on-the-go accessories - it also produces a significantly different audio signature, thanks to the electrical conductivity and the shielding performance of that particular chemical metal. And considering the original AK380 was built with audio engineers and music producers in mind, it's still rocking all the impressive specs - such asNative DSD playback,32bit/384kHz Dual-DAC design and aVCXO Clock that reduces jitter to 0.2 picoseconds - as standard. Hand-finished to give a striking brushed effect at the end of a lengthy four stage process, the production of the Copper will also help prevent oxidisation. The device also has a carbon-fibre back and plush leather case thrown in for good measure. The Copper will be a super limited edition run too, with only 500 units produced. If the idea of a weighty, ultra high-end audio player is floating your boat you can pick one up for the princely sum of £3,299. Only a select number of stocklists in the UK will be allocated some of these players, including the company's own Amazon page, naturally. The Copper AK380 goes on sale later this month.